What would MPavilion look like if it was co-designed by kids using Minecraft? Find out in this interactive workshop hosted by our friends at Matters Journal, as they bring to life a feature story from ‘Mini Matters’—the first ‘mini’ print publication of Matters Journal. Based on the ‘Block by Block’ program developed by UN-Habitat in partnership with Mojang, this workshop gives kids aged eight to fifteen a chance to bring their creative visions to life, using the video game Minecraft to build a virtual model—all the while exploring new ways of using technology and design to engage communities in the public realm. 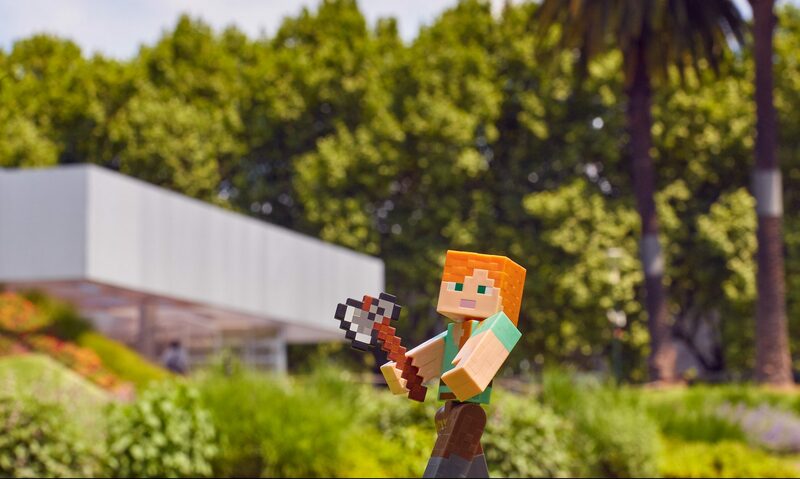 If you or your friends have children who love Minecraft, building things or all of the above, bring them along to MPavilion for this workshop facilitated by some highly experienced and tech-savvy big kids. Channel your love of Minecraft, architecture, engineering or design as an online facilitator for this IRL multiplayer activity—redesigning MPavilion Minecraft-style! Following the event, Monash University’s Department of Materials and Science Engineering will 3D print the designs created during the workshop. This is a free workshop. Drop-ins welcome but registration is encouraged! This workshop is limited to 24 kids (aged 8–15) and 16 big kids (aged 15+).